Graduated in Organic Chemistry at the University Autonoma of Madrid, Rodrigo Fernandez completed his training with a master’s degree in International Trade (Spanish-Usa international Business) at the University of Harvard. He began his professional carrier in 2002 as area manager of the Fast Exchange S.L Company which is dedicated to the exploitation of currency exchange establishments and convenience stores. 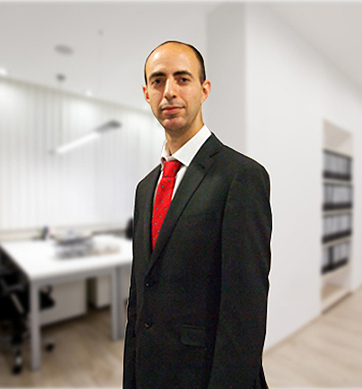 Between 2002 and 2009 Rodrigo was general director of Quickstop Alicante S.L. and created a network of franchise stores named “Quickservice”. From 2009 to 2010 he was expansion director of the Quickgold brand which is a chain of establishments to purchase precious metals. From 2010 to present became the general director of this same chain while from 2011 to 2013 he was also director of Eciglogística, company dedicated to the import and wholesale distribution of electronic cigarettes. He dealt with the international expansion of this business in order to become a reference at European level. In 2004 he received the Young Entrepreneur Award in Alicante who shared with his brothers José Manuel and Jorge Antonio Fernández Navarro.